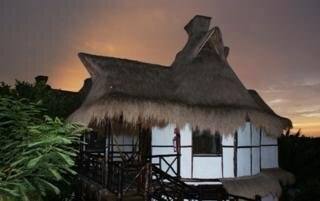 The hotel is located in the state of Quintana Roo in the area where Costa Maya borders Riviera Maya. 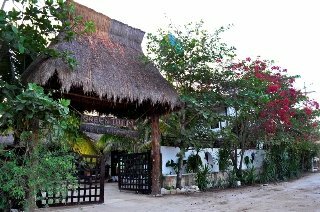 The hotel is 5 minutes from the spectacular World Heritage beaches of Tulum and Sian Ka'an. Guests will find the centre of Tulum just 150 m away, where there are restaurants, bars, nightspots, shops and links to the public transport network. The Sian Ka'an biosphere is 6 km, Xcacel is 12 km away, the Coba archaeological site is 40 km and Playa del Carmen is 60 km.--This charming bungalow style hotel complex comprises 13 handcrafted cabins with 2 floors which offer a total of 26 rooms surrounded by a unique, natural paradise of flora and fauna. Facilities on offer to guests include a lobby area with a 24-hour reception and check-out service, a currency exchange facility and a cloakroom. 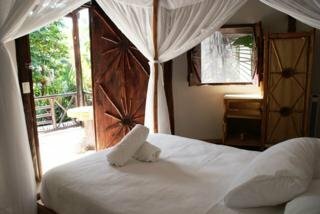 There is a cafÃƒÂ©, a bar and a restaurant and guests can also take advantage of the laundry service and parking.--A host of Mayan artisans in the area have demonstrated their skills in each of the rooms, carving wooden details including pink snails in the bathroom, starfish lamps and fine fabrics for a welcoming retreat. 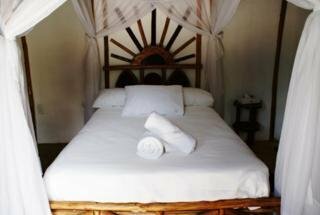 All rooms come with a private bathroom with a shower/bathtub and offer a king-size bed. 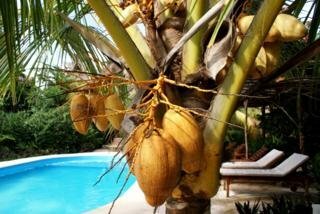 They are equipped with Internet access and a ceiling fan and feature a private terrace with a hammock and garden views.--The hotel features a central outdoor swimming pool, where guests can refresh themselves in the heat of the day and relax under parasols or with a massage. Golf enthusiasts can play a round at the nearby Bahia Principe course, just a 10-minute drive from the hotel. Moreover, there are sun loungers and parasols available for use on the beach.--A continental breakfast is included in the price of all rooms and the midday meal may be selected ÃƒÂ la carte or enjoyed in set menu form.